A couple of years ago I met Megan Hanson at a dinner meet-up for women living with diabetes. We became Facebook friends and I have been privileged to follow the exploits of her ever-busy family. Last year the Hanson’s T1 Awareness video released in support of JDRF was hugely popular and even shared on the Huffington Post by Riva Greenberg. You can watch the 2015 video as a part of Riva’s post or else click here. A family of six: Mom, Dad, and four boys. A family overflowing with love and joy. A household of constant motion, laughter, and chaotic fun. A family whose smiles light up my Facebook news feed. A family living with Type 1 diabetes. Mom and 4-year old twins Leland and Lincoln. A family who advocates and educates others about Type 1 diabetes. In mid-January the Hansons released their 2016 “day in the life” video showing what Leland and Lincoln deal with in a day of diabetes. It’s longer than last year’s video and we see that although diabetes does not rob this family of smiles and laughter, there are occasional tears. The twins clearly “know their stuff” as they explain the basics of Type 1 diabetes and show their expertise at testing BG. Mom and Dad are in the background helping out with the hard stuff and performing middle-of-the-night BG checks. Brothers, one older and one younger, scream cheers of support every step of the way. If you would like to support Team Hanson’s JDRF walk, click here. Very importantly, remember that every time you support JDRF, you are helping children like Leland and Lincoln and families like the Hansons. Watch their amazing video and join all of us who dream of a world without Type 1 diabetes. On January 1st I greeted the new year with a 9-mile hike in the Mazatzal Mountains near Sunflower, Arizona. 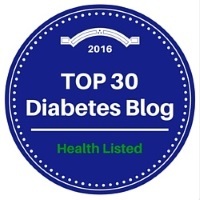 I am an avid hiker and have written extensively about hiking with diabetes. You’ll find some of those posts listed at the bottom of the page. Not a lot has changed with my hiking in 2016 except for two tech devices. Dexcom Share: I have often complained that the Dexcom G4 receiver is unreadable in bright sunlight. Animas pumps are even worse. I can’t see a darn thing on the screen. This year is my first experience hiking with the ability to see my Dexcom numbers on my iPhone. It’s fabulous. I can read the numbers with no effort at all. Now when my Dex receiver vibrates, I can pull out my phone to see whether it is a high or low alert and what the number is! Unfortunately I still can’t read my pump screen. Spot Gen3 Tracker: Despite my emphasis on safety, I have realized for several years that I was missing one device that a hiking group like mine should have. We are quite adventurous and most of our hikes are in mountainous areas with no cell phone coverage. If one of us were to get injured or sick (or have issues due to Type 1 diabetes! ), we’d basically be up Sh*t Creek. Most likely we would have to split up the group with some hiking out and driving to get help and others staying behind with the hiker-in-trouble. When you are 5-6 miles away from the car, this is not an ideal situation. I think it’s wise to have the glucagon and prep the group. Hopefully you’ll never need any of it. But that’s one of the things about living with diabetes — we have to plan for the absolute worst case scenario. When I was doing some work that involved a lot of driving in very remote areas I found a device/service called SPOT that used satellites to allow me to call for help, if needed, or broadcast an “I’m Ok” message to loved ones. Thankfully I never had to use the rescue service, but it provided great peace of mind. That means that I can send out pre-programmed “I’m OK” messages to multiple phone numbers and email addresses. The two routine message options provide GPS coordinates and a link to Google Maps showing my exact location and track. There is a Help, but not life-threatening message that can be sent to designated contacts. Finally there is a SOS button that will summon a cavalry of emergency responders and helicopters.